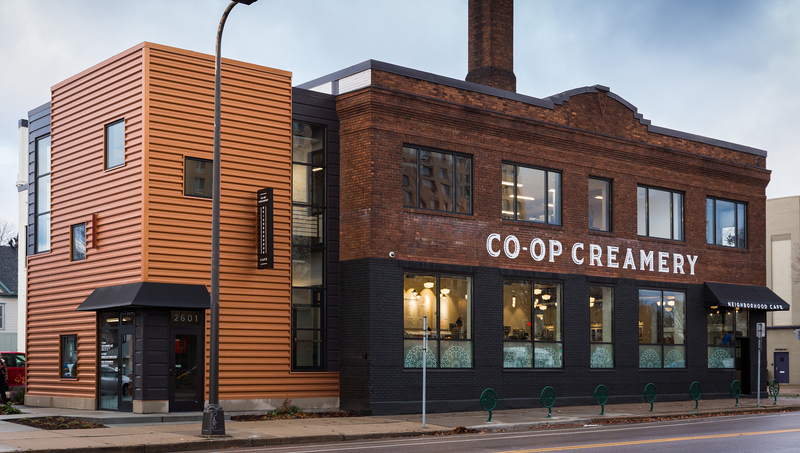 This Co-op cafe was created by the Seward Community Co-op to bring delicious, sustainably sourced food and inclusive, socially responsible values to the Seward neighborhood in Minneapolis. 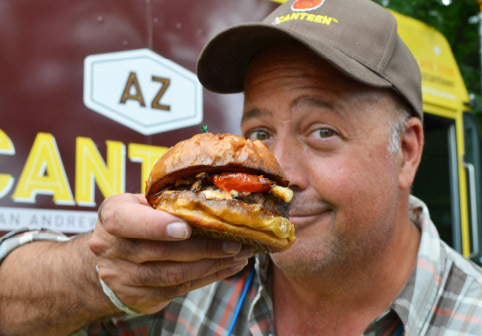 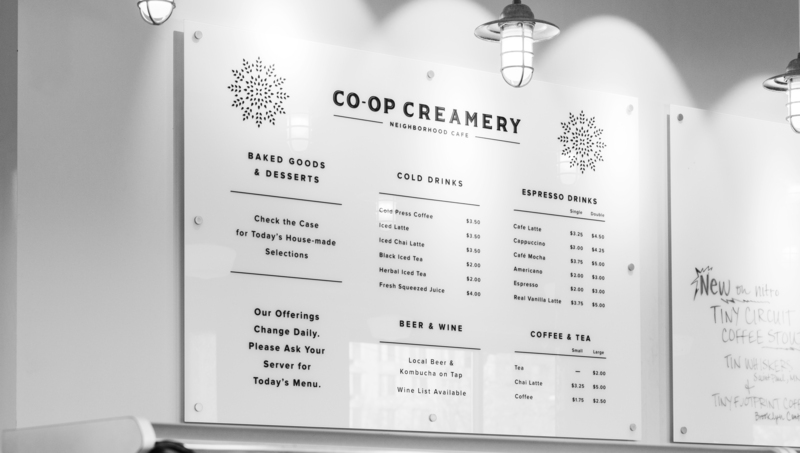 Just like in their grocery stores, the cafe focuses on high-quality ingredients and sources locally grown and raised food from small-scale farmers and area artisans. 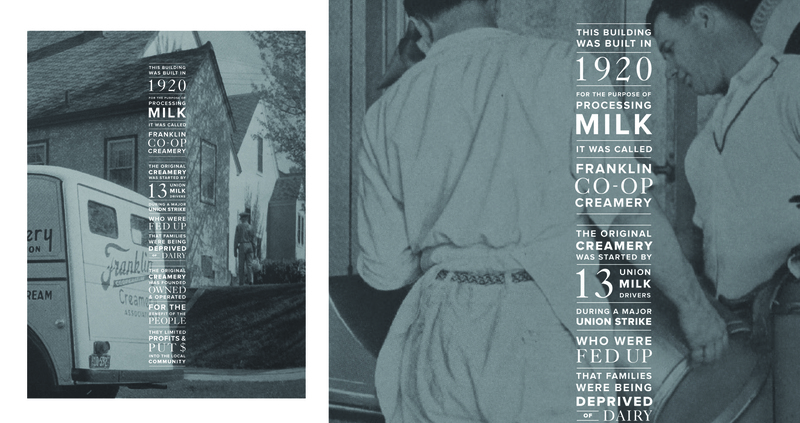 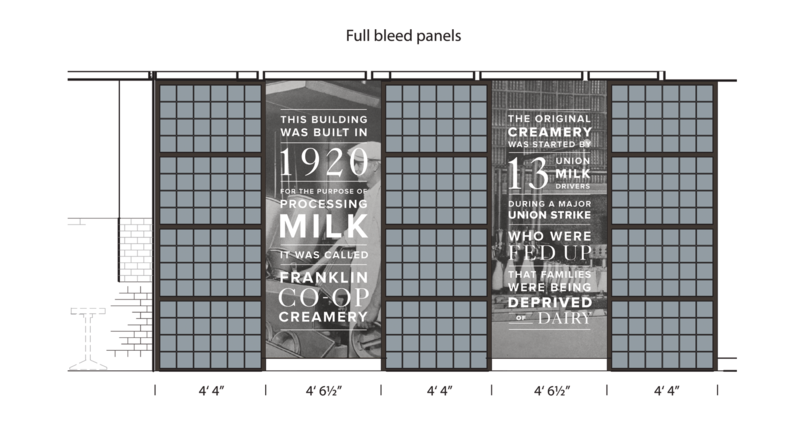 The building itself was built in 1920 as a dairy production plant and was originally home to the Franklin Co-op Creamery Association, who also valued local ownership, building strong relationships in the community, and producing a great product. 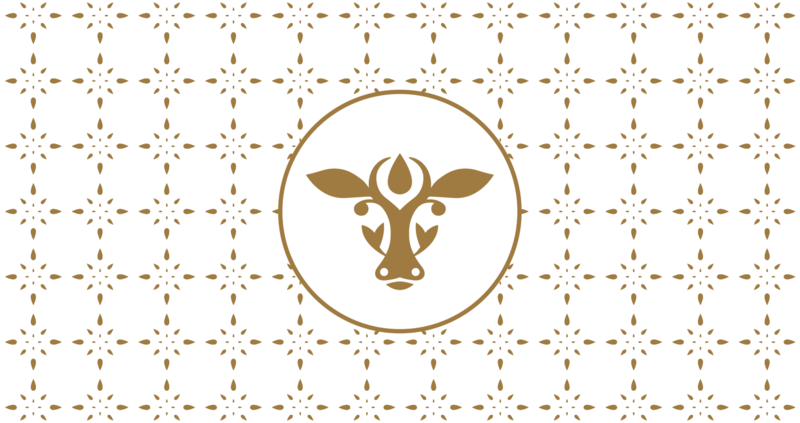 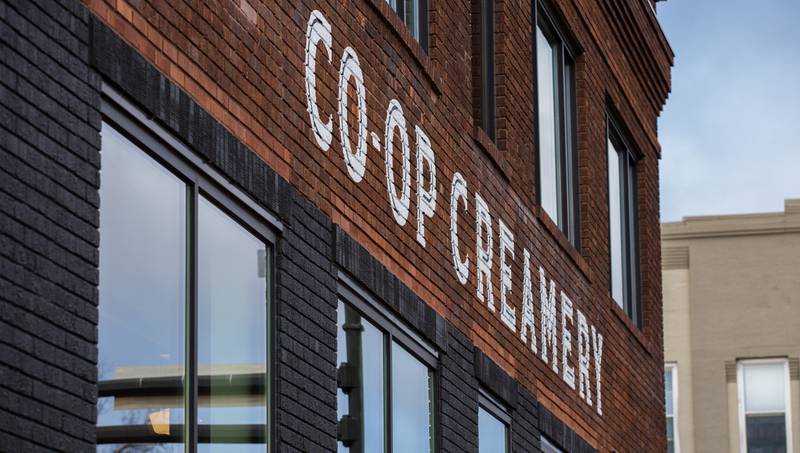 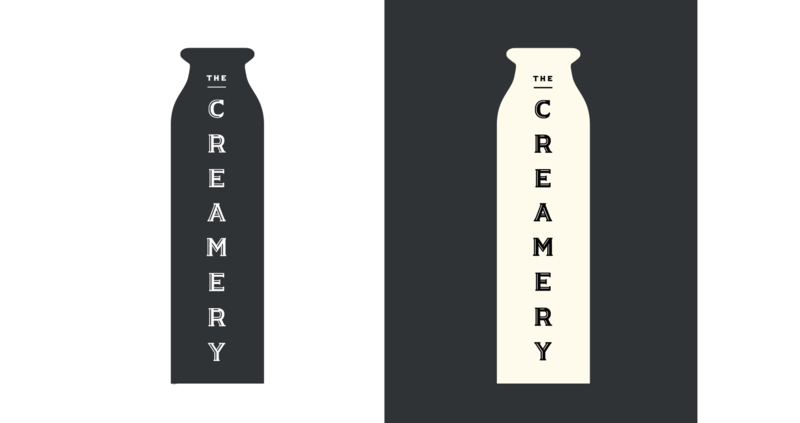 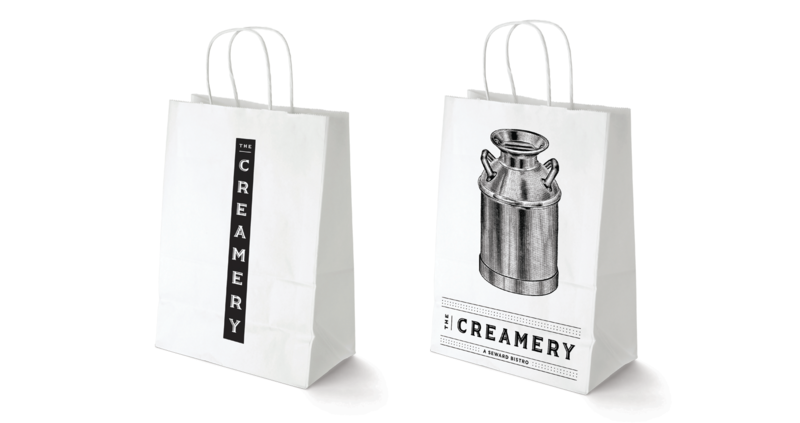 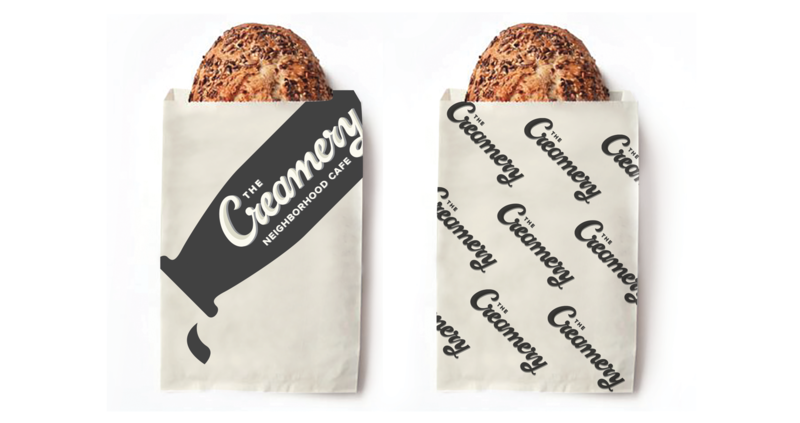 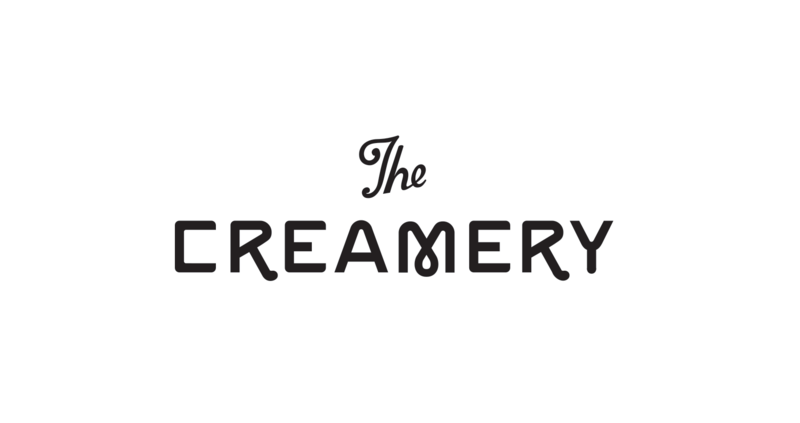 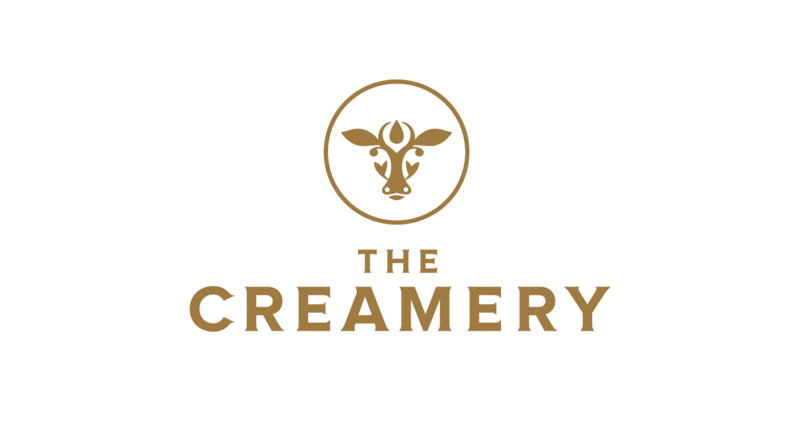 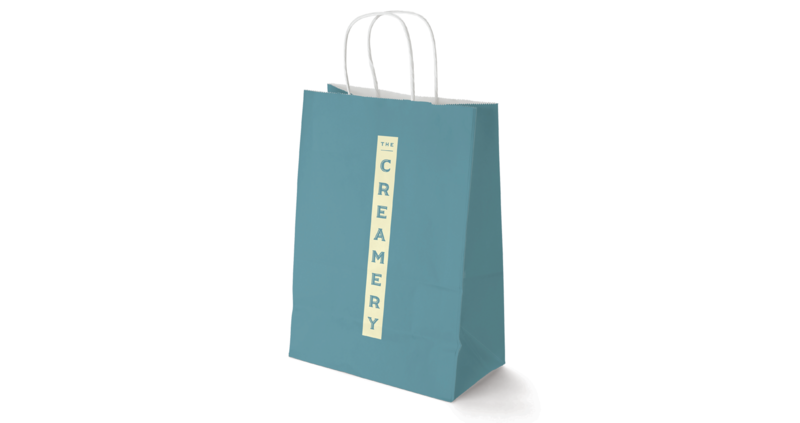 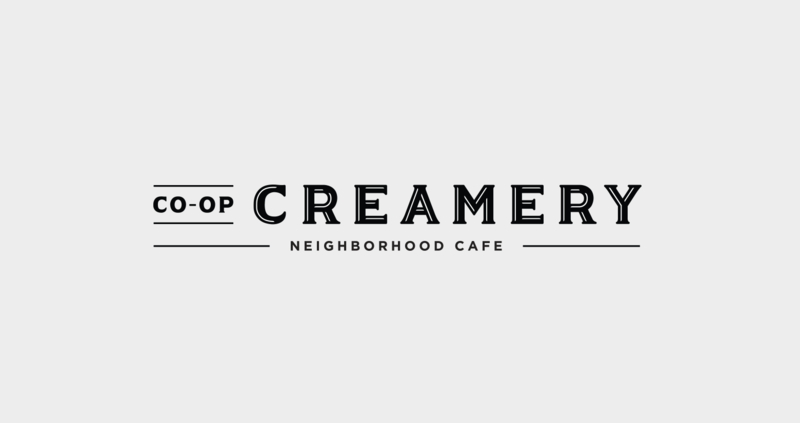 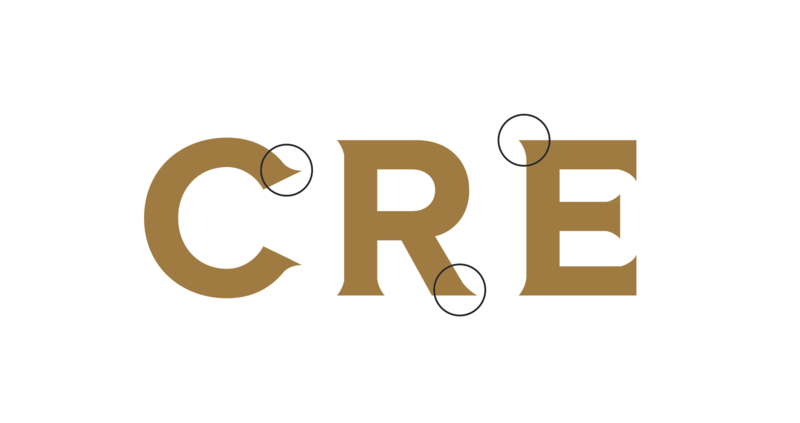 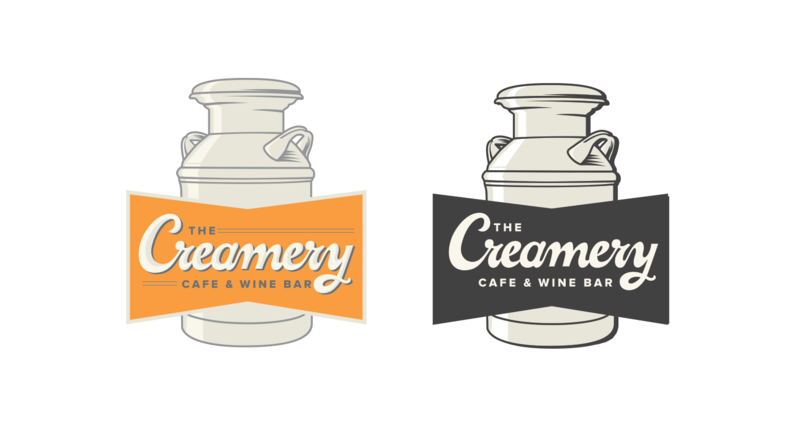 Replace was honored to create an award winning logo and brand system for the Co-op Creamery and to help design the exterior and interior of the restaurant space. 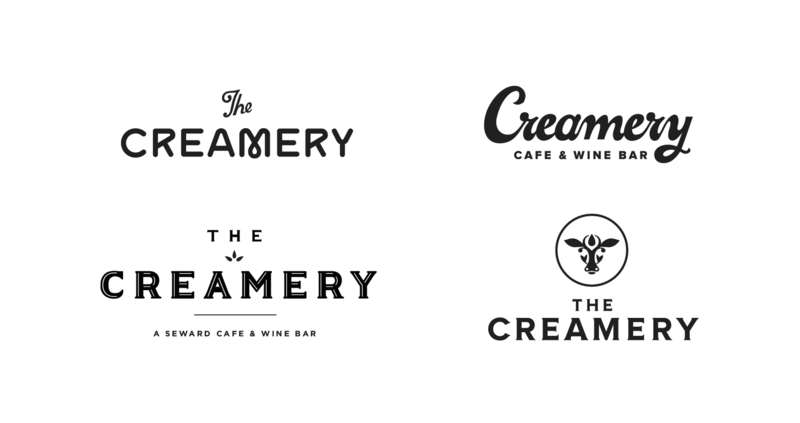 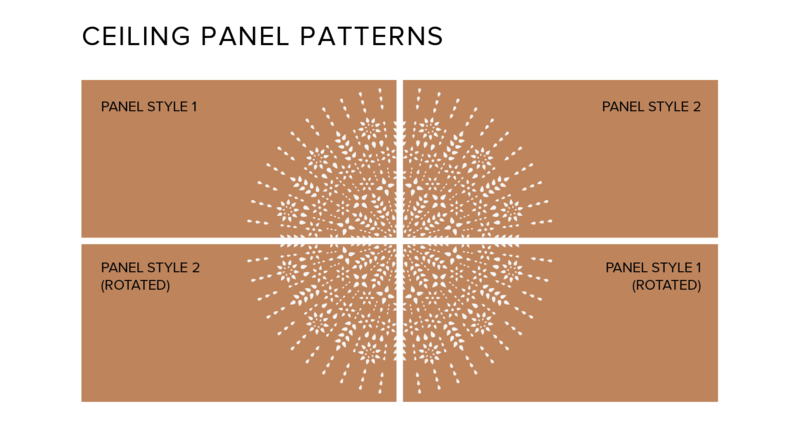 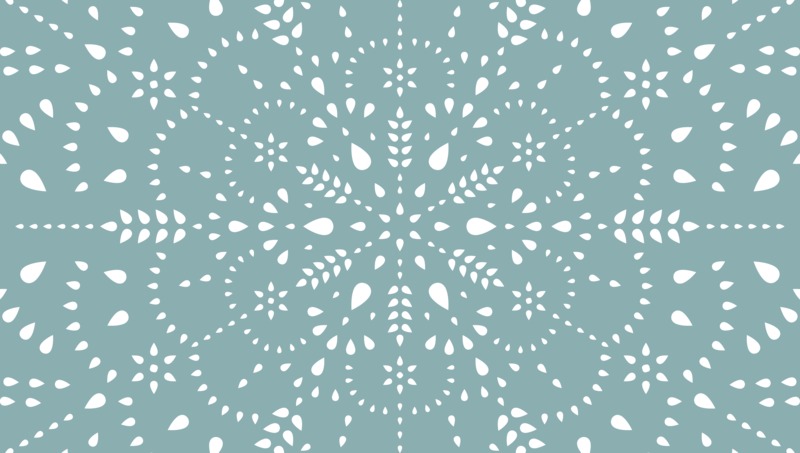 For the first Phase, we presented 4 distinct directions to the client. 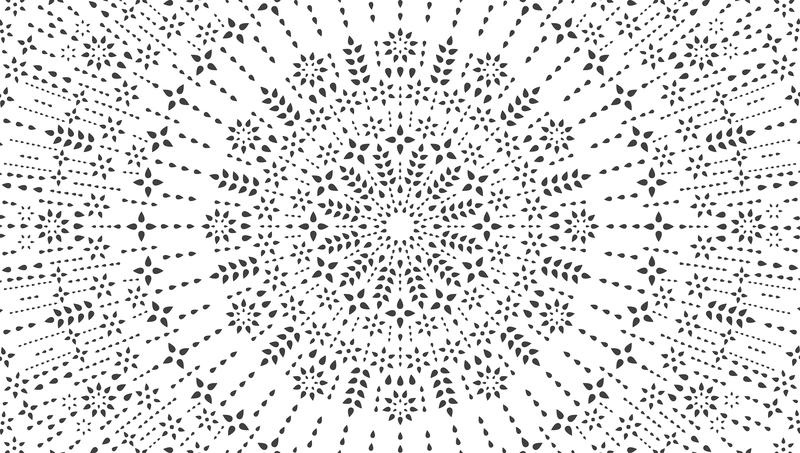 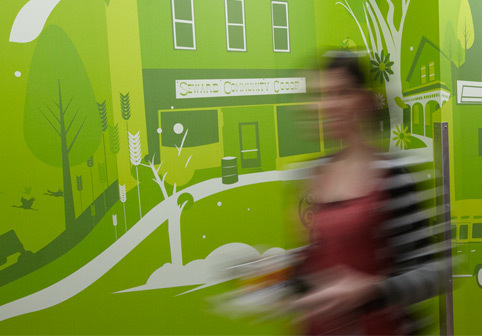 They focused on different ways of communicating both the history of the building and the forward thinking of sustainable food sourcing and a cooperative mentality. 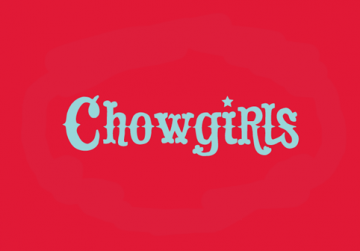 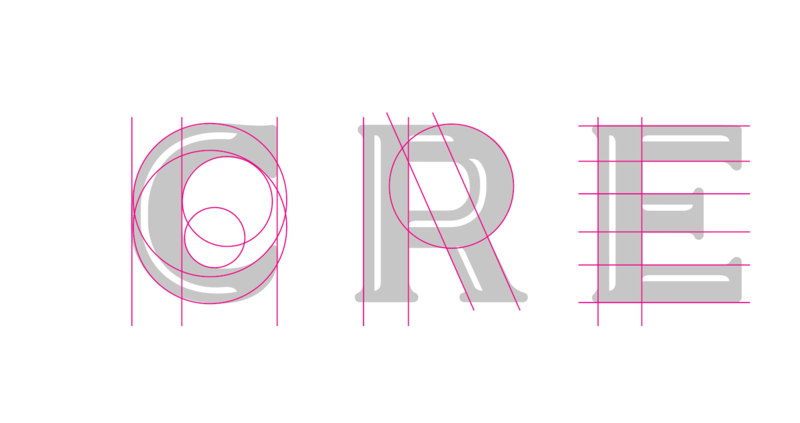 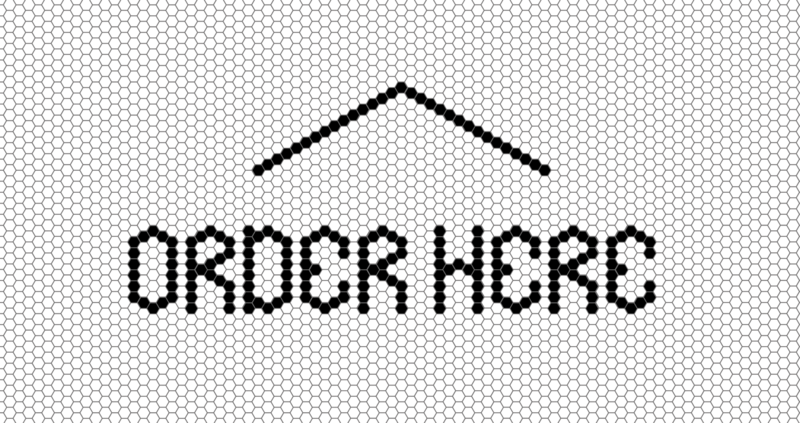 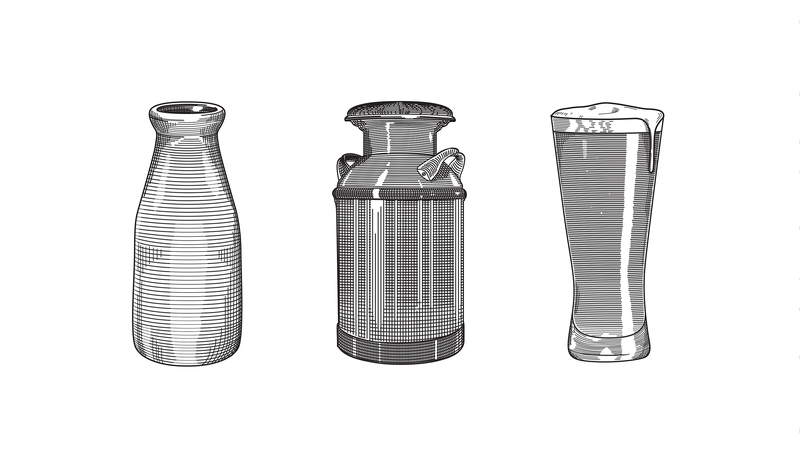 We then refined the brand system as a whole. 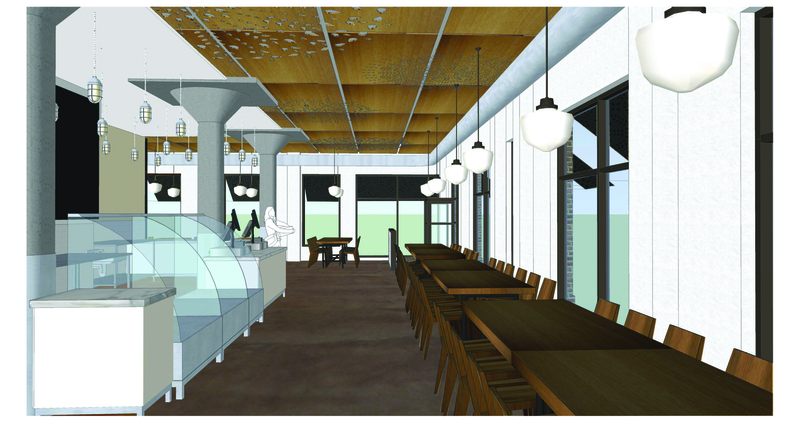 We were also concentrated on working with the architectural design team to plan the interior and exterior of the building. 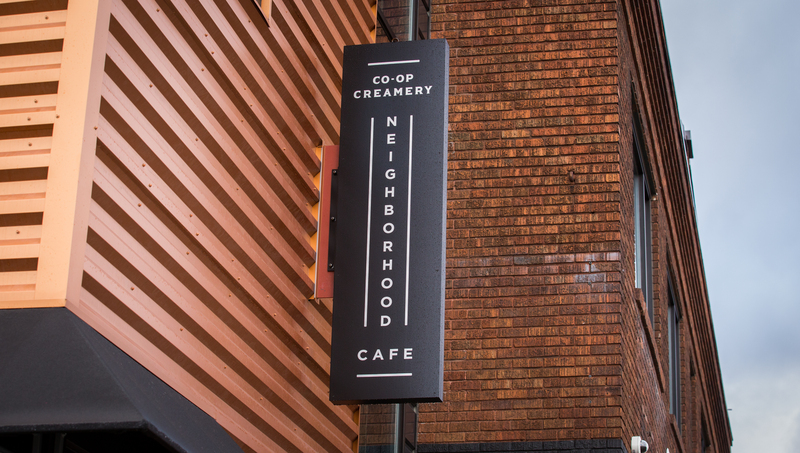 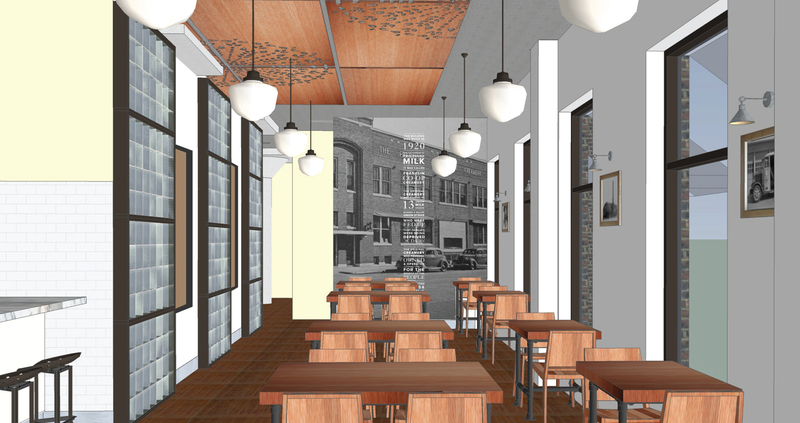 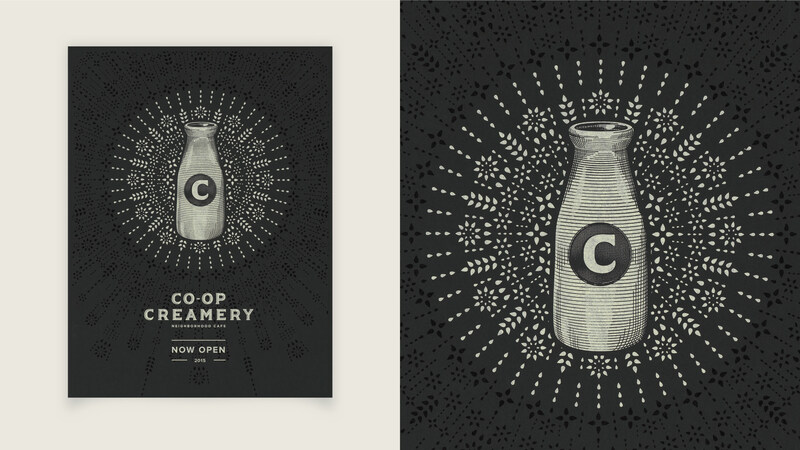 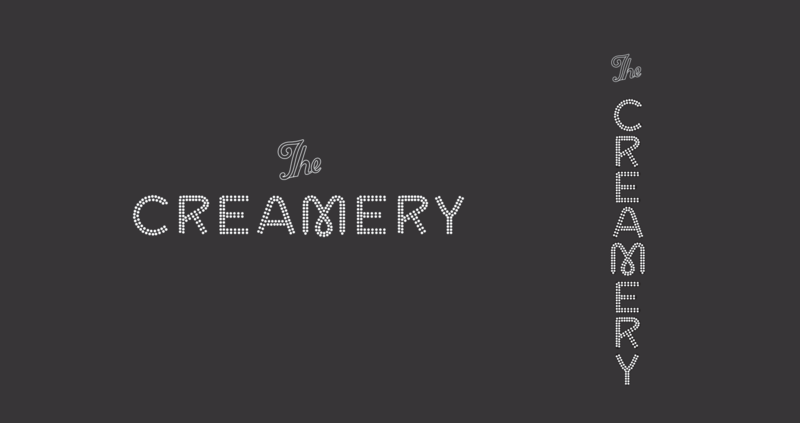 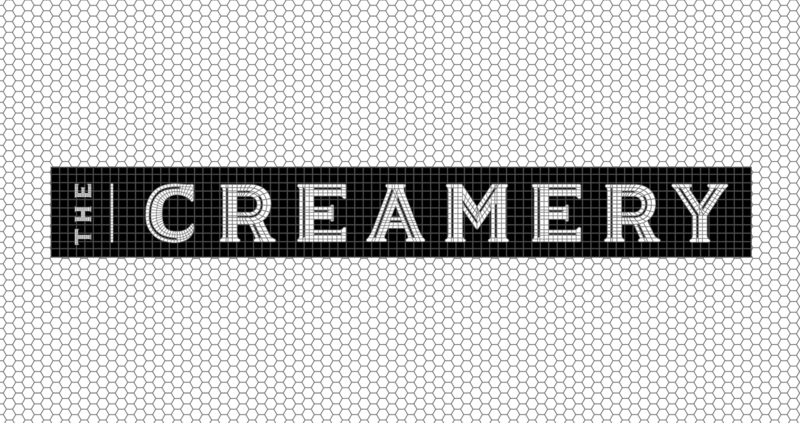 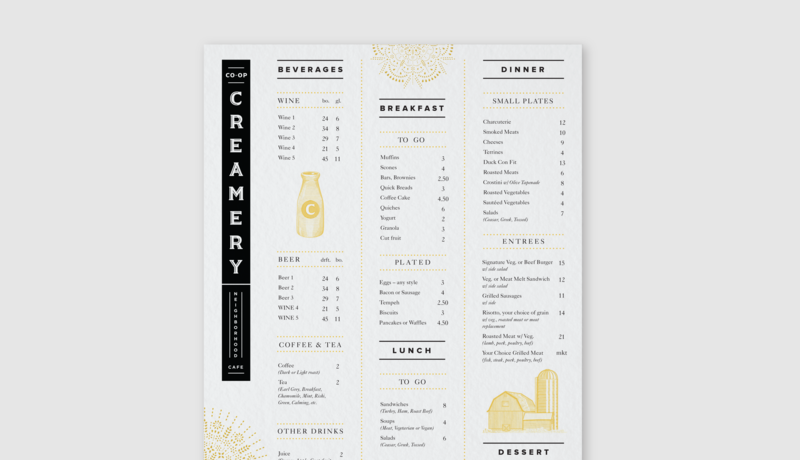 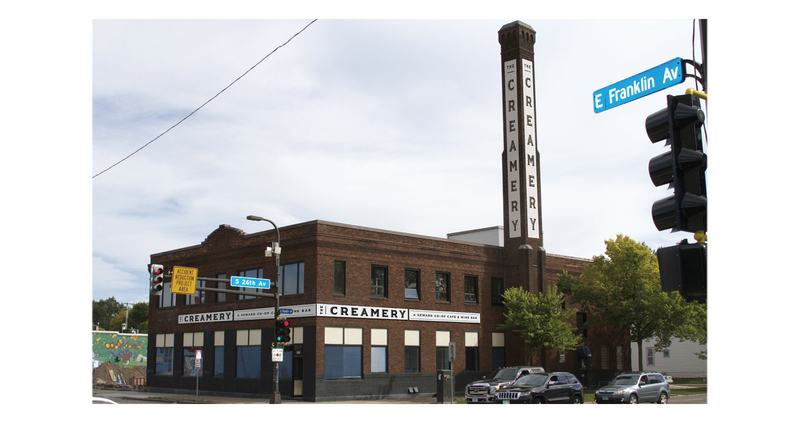 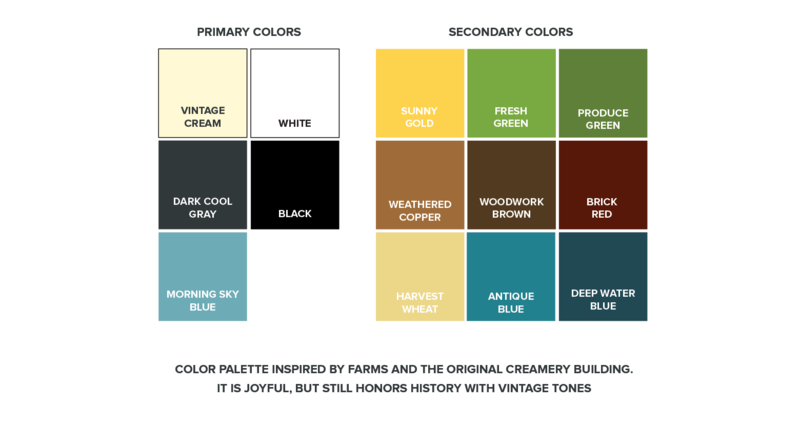 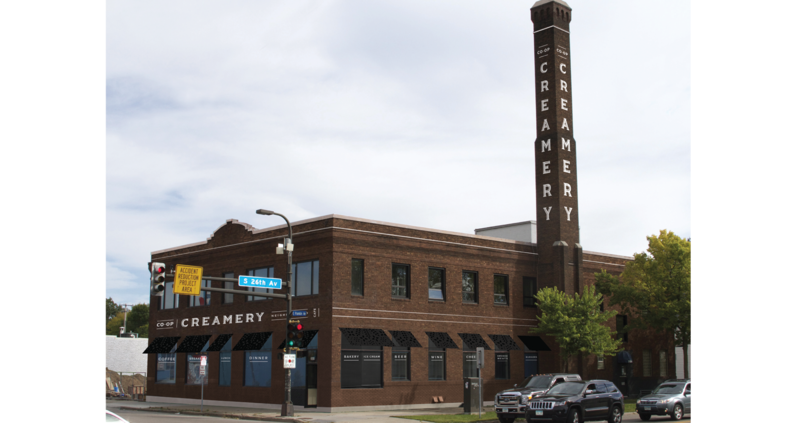 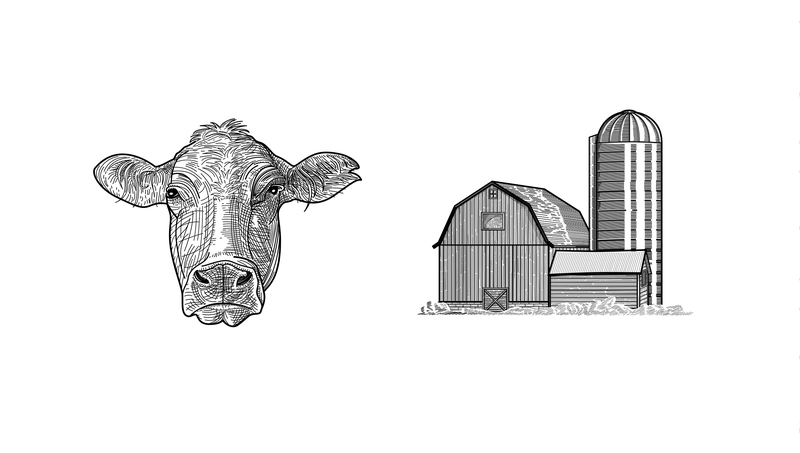 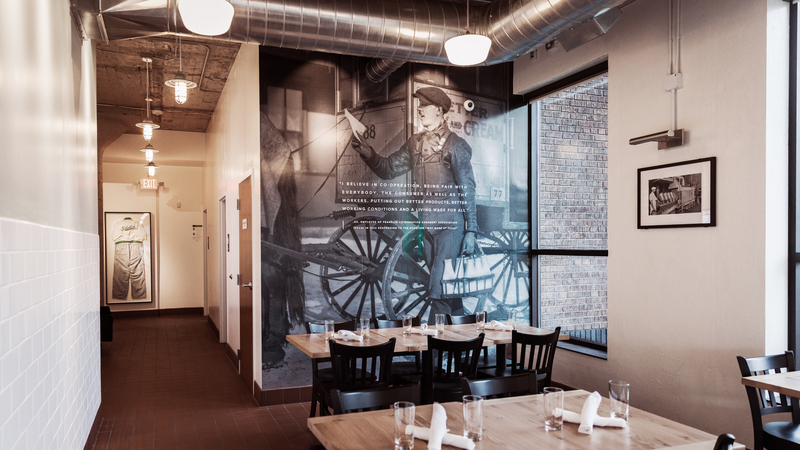 This included mocking up exterior building designs, signage, textures, patterns, wall murals, menu boards and color choices for the Co-op Creamery restaurant space.